KUALA LUMPUR: Badminton ace Datuk Lee Chong Wei said the banned drug, which earned him an eight-month ban in the sport, was not given to him by the Prime Minister Datuk Seri Najib Razak’s wife Datin Seri Rosmah Mansor. 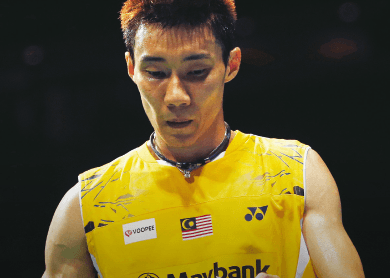 While he told the Malaysiakini news portal that Rosmah did not provide him with the cordyceps capsules, which contained the banned anti-inflammatory drug dexamethasone, Chong Wei did not want to be drawn further into the subject. “Yes. I can confirm it is not her. However, I am not at liberty to reveal the name of the person [who gave the tablets],” the news portal quoted him as saying yesterday. The Malaysian Insider reported earlier yesterday that the banned drug was given to the national shuttler by the wife of a “very influential man in Malaysia”, quoting a Badminton World Federation (BWF) report. Since then, speculation about the identity of the woman has been rife on social media. The news portal also quoted a source as saying that it was the wife of a former top Barisan Nasional politician. A BWF report said that since around 2007 or 2008, the unnamed woman began giving Chong Wei some of her own supply of pure cordyceps capsules, which she bought in raw whole form and had it powdered and made into capsule form at a traditional Chinese medicine outlet in Kuala Lumpur. The report said the woman in question began to send Chong Wei cordyceps capsules on a regular basis as a gift. Some of the cordycep capsules were said to have been contaminated with dexamethasone. This article first appeared in The Edge Financial Daily, on April 30, 2015.